RIO DE JANEIRO, Aug. 2, 2016 - Photo taken on Aug. 1, 2016 shows the interiors of a metro line 4 train in Rio de Janeiro, Brazil. 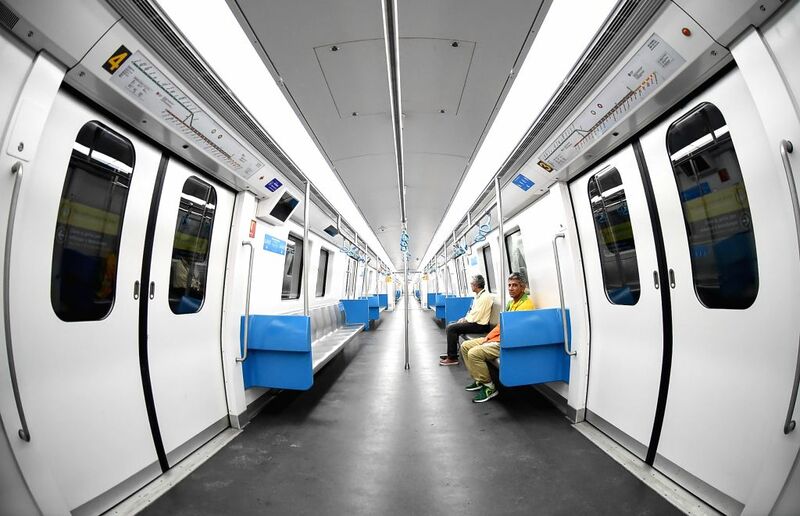 Rio's new metro Line 4, which will be one of the main enduring legacy's of the Games, links the city's tourism district with the western Barra da Tijuca neighborhood, where many of the Olympic events are slated to take place. 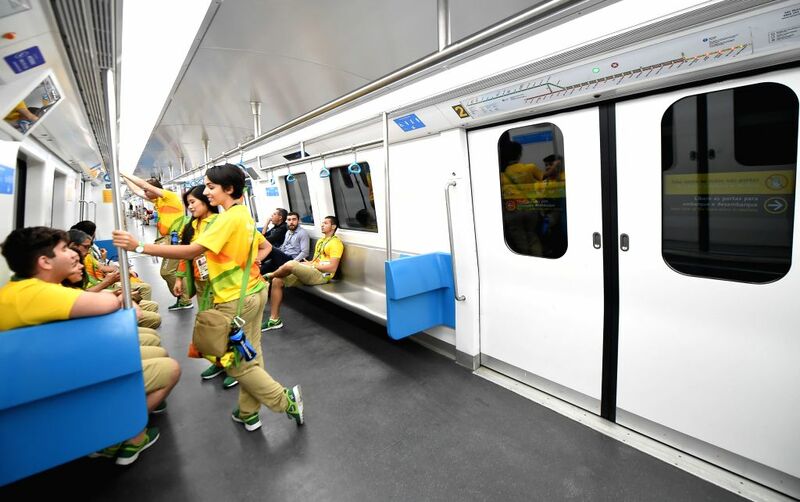 The key Olympic transport line features China-made trains designed and manufactured by the Changchun Railway Vehicles Co., a subsidiary of CRRC, one of China's biggest train makers.